The lumbar ligaments are under extreme strain. 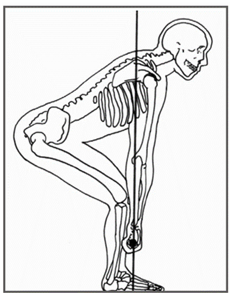 The hips and knees work smoothly together to lift and lower the load. Supporters of the semi-squat claim it provides the best stability, power, endurance, vision and adaptability for the user. Consider putting handles on the load. E.g. tie branches/tree limbs together and tie a handle to it. Try not to store heavy items on the floor, but rather at waist height. E.g. think about where you store bags of potting mixture. This is important. Consider changing into old clothes or putting on overalls to allow this. Wear gloves. ASK FOR HELP, ACCEPT OFFERS OF HELP. Use team lifting for heavy and/or bulky items. You are less likely to injure yourself if you space out your activity such as heavy lifting or bending and twisting for prolonged periods. Doing it all at once, can be too much load for your body. 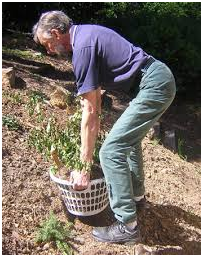 A sudden, prolonged intense session of gardening or spring cleaning will not make you fitter, it is likely to cause an injury. Instead plan several shorter sessions over a number of days, or several sessions with breaks in one day. Resist the temptation to just keep going and get it all done. Take a break. Timed sessions work better than thinking of getting that whole garden or spring cleaning done before you rest. 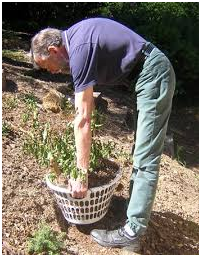 Consider instead of gardening or cleaning for one hour, then take a break, even is that section is not finished. Keep load as close to body as possible. LONG TERM: Maintain your physical fitness and flexibility. Aim for 30 min daily moderate intensity exercise or 150 min/week. Regularly stretching can help maintain your flexibility. Our physiotherapists are happy to advise you on suitable stretches, exercises or back care. To book an appointment today please call 4975 1622.